A blistering new attack ad from SEIU goes HAM on Rahm Emanuel. A new ad attacking Chicago Mayor Rahm Emanuel’s record hit airwaves on Friday, skewering the mayor’s policies on education, public safety, taxes and corporate cronyism. The ad comes on the same day Emanuel's progressive challenger Jesus “Chuy” Garcia announced for the first time his support of a national tax on financial transactions aimed at big banks. The ad, funded by the Service Employees International Union (SEIU) Illinois Council PAC, comes just over two weeks ahead of the historic mayoral runoff election between Emanuel and Garcia on April 7, in what is widely being viewed as a national referendum on neoliberal, corporate-centric governance—and the future of the Democratic Party. Emanuel’s record on education and public safety is widely unpopular among Chicago residents, and this ad pulls no punches in going after the mayor where he is most vulnerable, while also linking him to sweetheart deals with corporate interests and wealthy campaign contributors. Featuring markedly higher production value than previous pro-Garcia commercials, the TV spot illustrates the impact of SEIU investing significant funding less than a week after formally endorsing Garcia. The Chicago Sun-Times has reported that SEIU could spend over $2 million on the race in what will be a major boon for the Garcia campaign. Also on Friday, Garcia announced his support for a national financial transaction tax (FTT), along with other progressive revenue-generating policies, at an event marking his endorsement by newly elected Illinois State Rep. Will Guzzardi and Reclaim Chicago, a group supported by progressive organizations National Nurses United (NNU) and The People’s Lobby. Garcia reinforced the message of the SEIU ad, denouncing Chicago's "tale of two cities" under Mayor Emanuel. "I’m proud and humbled to be cast as a bearer of the legacy of Harold Washington. Like Mayor Washington, I believe that the people of Chicago and our communities are the heart and soul of our city." said Garcia. "Mayor Emanuel believes that his crony corporations are all that matter. He views the working families of this city with indifference, unworthy of either regard or a fair share of civic resources." "Under Emanuel, Chicago is really two cities: The gleaming corporate wealth of the Loop, surrounded by dozens of neighborhoods that are starved of resources and plagued by social problems that accompany disinvestment and disinterest." "I am committed to local revenue and savings options that are progressive, rather than regressive. Options that don’t force our most vulnerable neighbors to bear the brunt of the cost of frontline services. At the same time, I support local and national solutions that include progressive state income tax and financial transaction tax," he said to heavy applause. A Garcia campaign spokesperson tells In These Times that the candidate was not submitting a proposal for a Chicago-specific FTT—which would likely require a change in Illinois state law; highly unlikely under new Republican Gov. Bruce Rauner—but voicing support for the policy on a national level. Still, the endorsement of FTT—a tax placed on the trade, sale or purchase of financial instruments such as stocks or bonds, also known as a "Robin Hood tax"—marks the first time Garcia has publicly come out in support of a program that could potentially raise billions in annual revenue to fund pension obligations and public services through targeting speculation by major banks, hedge funds and super-rich investors. While the tax has been met with stiff opposition by powerful financial groups, FTT has proved to be an effective progressive revenue generator in the over 40 countries that have enacted the tax, including France, Switzerland, Italy and Peru. Critics of the tax, including Mayor Emanuel, have floated fears that financial businesses could flee if such a tax was enacted, taking jobs with them. But considering Chicagoans currently pay 9.25% sales tax, while billionaire investors pay zero taxes for stock trades, requiring a fraction of a percent tax on these transactions could serve as a small way to create more justice in our financial system. Countries where FTT is a reality have not seen economic collapse. On the contrary, they include some of the “freest” economies in the world, as deemed by the conservative Heritage Foundation. And the United States actually already had its own financial transaction tax in place from 1914 to 1966, until it was repealed to "streamline" the tax system. 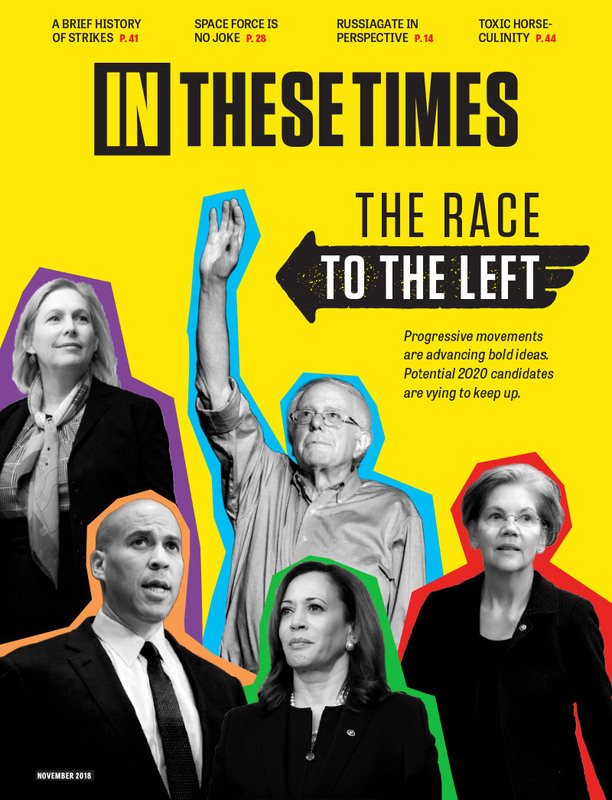 Many prominent progressives around the country have similarly come out in favor of FTT, including Rep. Chris Van Hollen (D-Maryland), Sen. Bernie Sanders (I-Vermont), former Sen. Tom Harkin (D-Iowa), Rep. Peter DeFazio (D-Oregon) and Nobel laureate and former chief economist of the World Bank Joseph Stitglitz. Mayor Emanuel has spent the past two weeks barraging Garcia with claims that he is not a “serious” candidate and has no real plan to deal with Chicago’s fiscal crisis. But this new ad hammering the mayor for policies that enrich the wealthy by disinvesting in Chicago neighborhoods—as well as Garcia’s support for a financial transaction tax—could help stymie this line of attack by further casting Emanuel as an out of touch elite, and Garcia as a defender and advocate for working people in Chicago. That differs from your agreeing with nicko thime a few hours ago. Seems like you have double standards! I don't agree with anyone about unrelated issues because of which group they're in. That appears to be your flaw. Force cohesiveness is only for members of the current force and should never sway your judgements to the absurd. The fact that veterans served has no bearing on their social judgement and knowledge, unfortunately. Yet you agree with those who never served when they attack a Veteran! Herve very accurately answered your bogus reports about the supposed societal costs of FFT two days ago. There is not a qualified economist worth a pinch of dust that would disagree with his description of how high frequency trading works against and negates economic production, virtually ALL of which comes from the working class. As for your soundbite quip; Conservatives created all the poverty by creating the current aristocracy. Some help is still there but conservatives are eagerly grinding the remnants down while obstructing each and every initiative to reverse trickle down mumbo-jumbo, and even have the gall to evoke expectations of more jobs from more of the same. The conservative voter solution has been the Tea Party. In other words, an ideology to constrict the trickle to a drip or less. The liberal voter solution has been to abandon conservative impostors to the Democrat ideology of populist progress in spectacular fashion while setting true liberals and liberal causes to work. Don't even start. I have a 48 year work record, wartime military service and a comfortable retirement. You are not a trader. Even if there was front running, the bid-ask spread says you would be out one cent per share at most, or one dollar per hundred shares. At one percent tax rate, the tax would cost 25 dollars per hundred shares at the average share price of 25 dollars. Create poverty. Promise help. Get votes. Ftf you are woeful misrepresenting the current trading system, as a trader I would know. The truth of the matter is a financial transaction tax would actually benefit the end holder of these financial transactions. How you might ask, by turning the incredibly high cost of hft's. See the high speed computer trading systems basically take money right of the hands of all investors. Simply put they "front run" orders. As orders go onto a trading platform the high frequency trading software is able to see the order and get in front of the order because of its speed and drive the price up. Now an FTT would seriously impede their ability to trade in this manner because they operate by taking tiny profits all day by being fastest. An FTT would take all their profit out of the hft's trading model. Whereas you troll this site. Nah, even Mitt has better things to do then to be on this site. FTT is a tax on our investments. Households represent the largest owner of the US stock market. Housholds 33pc, mutual funds 21pc, pensions and gov retirement funds 15pc, international investors 16pc, hedge funds 4pc. City of London Economic Research reporting on the household savings losses on three countries only, "Spain 16 percent household savings loss, Germany 14.1 percent household savings loss, Italy 12.3 percent household savings loss." Net Negative Revenue: EU Commission's FTT Impact Assessment, before including negative relocation effects, "a 3.43% fall in EU GDP equates to a fall in economic output worth €421 (£362) billion and a 0.34% fall in employment equates to a loss of 812,000 jobs."